Welcome to our Souped Up Garage! You’ve reached the “Customization Destination” for your Jeep Wrangler, Ram or F-series truck. In the Souped Up interactive garage create your design in real time. Go ahead, think big! We’ll save your selections in a shopping cart, with additional product information available at your fingertips. The pricing shown is for products only. Installation will be additional. Our team will work with you on your design to make sure your hearts and wallets are content. 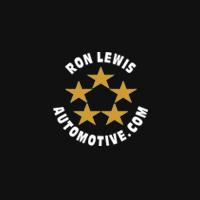 We’re adding new features to the garage all of the time, so if you have feedback you’d like to share, please send it to soupedup@ronlewisautomotive.com. Enjoy! *Please note: This program is NOW available for mobile use — It’s fully functional on both mobile and desktop!